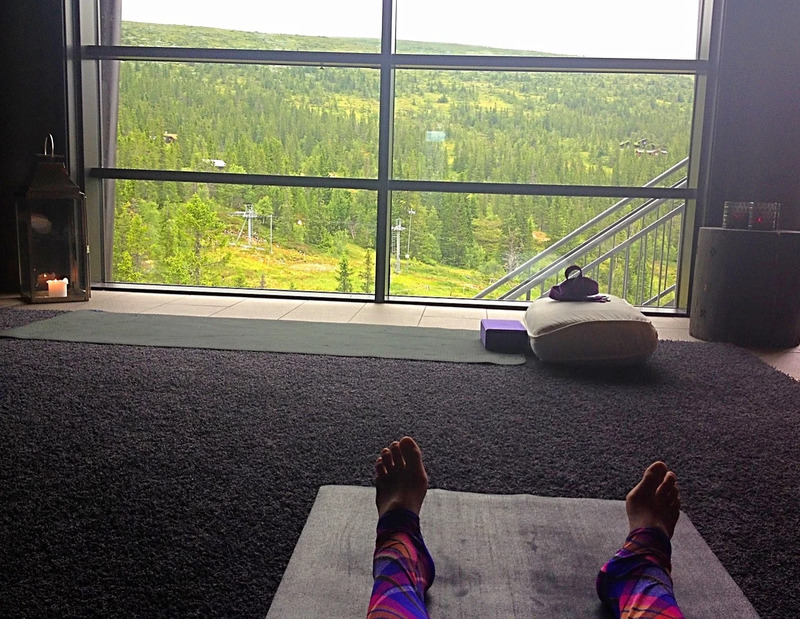 I had a wonderful experience with Yin Yoga, in the most amazing surroundings at the top of a wellness facility, with a perfect view calming music and great props. Nature truly has a healing power and whenever possible I practice Yoga outside. And even though I was not outside, the view calmed my mind. Yin Yoga is a slow form of Yoga where the Yoga postures are held for 3-5 minutes. Because of its slow pace, it slows down the mind and has a calming effect on the mind and body. 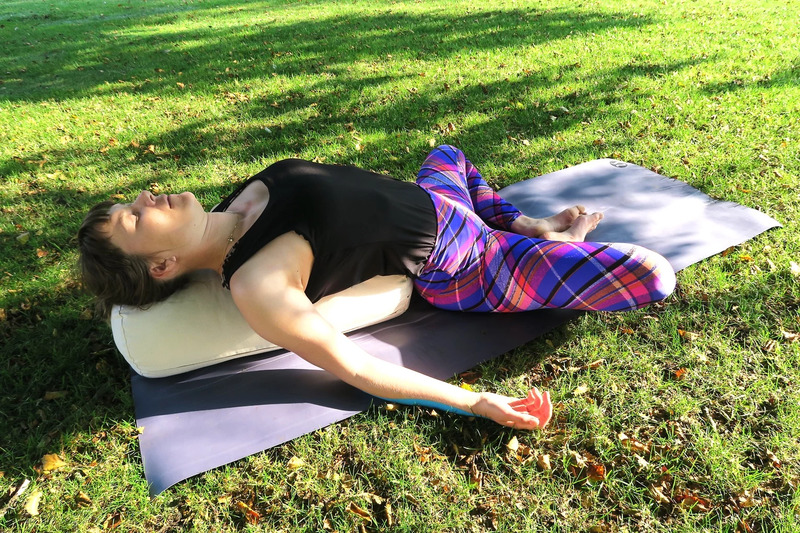 In the Yoga class we used bolsters as props, which I really liked and I have adapted it into my own Yoga practice, and I would like to share it with you. 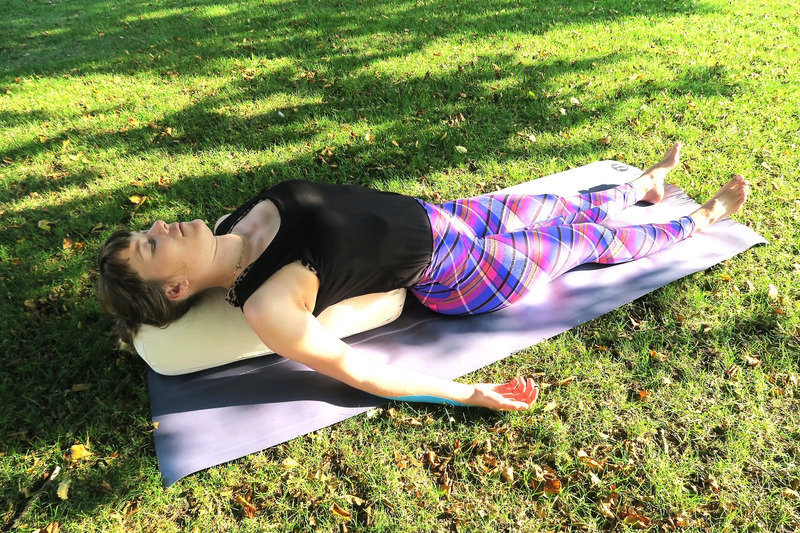 Every morning I start my Yoga practice laying on a Yoga bolster (you can also use a pillow) – grounding down – feeling the contact to the mat and the bolster, and the stretch, the bolster provides for my back. It helps me to come into a deeper meditation in the start of my yoga practice. Savasana with the bolster placed at the center of my back. Supta Baddha Konasana with the Yoga bolster placed at the center of my back.